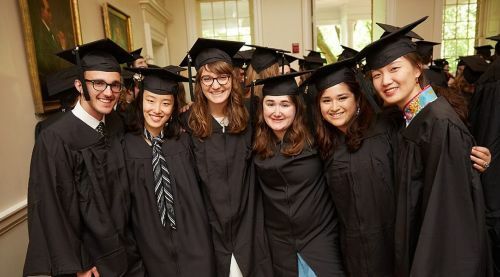 St. John’s distinctive liberal arts curriculum and educational practices have long given it a highly respected place among American colleges and universities. Its strong commitment to collaborative inquiry and to the study of original texts makes St. John’s College a particularly vibrant community of learning. Through close engagement with the works of some of the world’s greatest writers and thinkers—from Homer, Plato, and Euclid to Nietzsche, Einstein, and Woolf—undergraduate and graduate students at St. John’s College grapple with fundamental questions that confront us as human beings. As they participate in lively discussions and throw themselves into the activity of translating, writing, demonstrating, conducting experiments, and analyzing musical compositions, St. John’s students learn to speak articulately, read attentively, reason effectively, and think creatively. By immersing themselves in these investigations, by examining their own ideas in conversation with faculty and fellow students, and by exploring their insights in their own written work, students acquire formidable skills and cultivate enduring habits of critical analysis and thinking. They learn to take themselves and others seriously as reasoning and feeling beings, to work together as collaborators and colleagues, and to lead fruitful lives of independent reflection and shared activity. In addition to the undergraduate program, St. John's students may earn master of arts degrees through the Graduate Institute. St. John’s is one college with two spectacular campuses—one in Annapolis, Maryland, and one in Santa Fe, New Mexico. Students enrolled at either campus can transfer to the other and many students choose to spend a year at the other campus. Both campuses are beautifully situated in historic state capitals: Santa Fe hugs the slopes of the Sangre de Cristo Mountains in Northern New Mexico, while Annapolis lies on the shores of College Creek, a tributary of the Chesapeake Bay in Maryland. The two campuses share the same interdisciplinary academic program, while offering a broad range of opportunities and experiences. St. John’s College faculty are dedicated to teaching and are readily available to students. All classes are small (typically 13 to 19 students), ensuring that every student has a voice. The overall faculty-student ratio is 1 to 8. Paper conferences, informal study groups, the “Take a Tutor to Lunch” program, and a wide variety of extracurricular activities provide any number of occasions for students to interact with faculty members. St. John’s College students pursue all manner of activities outside the classroom. The college has a lively theatrical tradition, a host of musical groups ranging from madrigal singers to lunch-time jam sessions, art and photography clubs, language study groups, and an energetic intramural sports program. In Annapolis, the sailing and rowing teams compete in a number of regattas each year; other intercollegiate offerings in Annapolis include the fencing team and the croquet club. In Santa Fe, the Search and Rescue team allows students to develop their backcountry skills and to contribute an important service to the region. 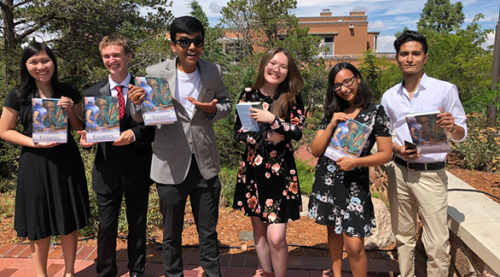 In addition, students in Santa Fe take advantage of hiking trails that begin from the college campus, skiing in the Santa Fe Ski Basin and the Taos Ski Valley, camping in the nearby Santa Fe National Forest, and the many cultural attractions of the town of Santa Fe. Students in Annapolis explore the adjacent waters, enjoy life on the town’s lively waterfront, and visit the nearby cities of Baltimore and Washington, DC. Both campuses also offer students a variety of opportunities to become involved in the life of the local community. St. John’s draws students from all 50 states and some 20 foreign countries. The diverse backgrounds and experiences they bring to the college deepen and enrich their shared investigations. Statistics show that St. John’s College students excel in their endeavors both at the college and after graduation. Almost 70 percent of St. John’s graduates pursue advanced degrees—many enter the nation’s leading humanities, science, business, law, and medical programs. St. John’s College is in the top two percent of all colleges in the nation for alumni earning PhDs in the humanities, and in the top four percent for earning them in science or engineering. One of the many striking features of St. John’s College, however, is that there is no typical St. John’s graduate: St. John’s graduates pursue all manner of careers. They become authors, winemakers, musicians, filmmakers, teachers, astrophysicists—whatever they choose! As students work in and across disciplines, wrestling with philosophic, literary, musical, mathematical, and scientific texts, they acquire habits of mental flexibility and focus, develop their powers of intellect and imagination—and so become effective problem solvers, leaders, thinkers, and communicators. St. John’s College alumni span the globe as learners and leaders, as individuals passionate in their pursuit of truth.